Ruptly has posted a video of US armored vehicles, stuck in roadside mud in Poland, being pulled to safety by a local recovery vehicle. 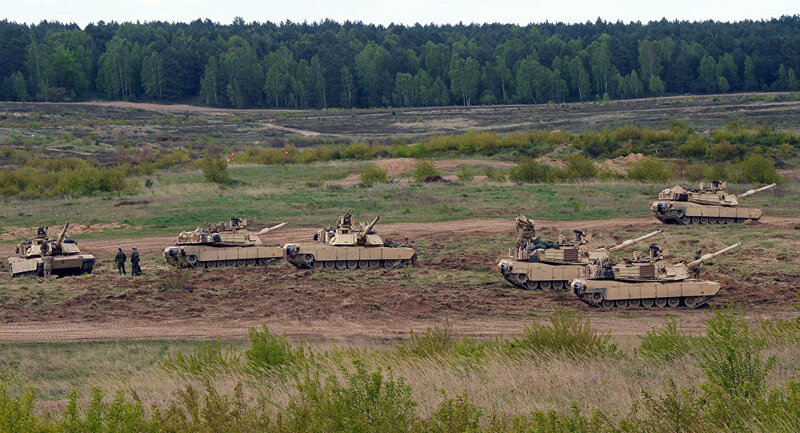 A small convoy of two US Army Heavy Expanded Mobility Tactical Trucks moving down a highway near the western Polish city of Lublin got in trouble after one of them careened into a ditch due to brake failure. The crew of the second truck tried to pull it out only to flip into the opposite ditch. After all attempts to recover the stranded vehicles failed, the Americans contacted a local road emergency company to help them out.